William Jenkins was born in Liverpool UK in about 1890. When he enlisted in Brisbane on 13 September 1915 into the 26th infantry his age was 24 years 10 months giving a birth date of around 1890. His height was 5ft 4ins (163cm), he weighed 8st 7lbs (54kg) and had a fair complexion, blue eyes and red hair. He gave his occupation as canvasser and his religion as Presbyterian. He was given the service number 3831. On 31 January 1916 Jenkins embarked on HMAT Wandilla in Brisbane as an acting Corporal and after the usual further training on arrival, was taken on strength in France on 13 May. On 9 September he was promoted to temporary Corporal on account of the promotion of McGuiness, and on 7 November to temporary Lance Sergeant on account of the wounding of Lance/Sgt Albert Borella (later to win a VC). On 8 November in the same year he was wounded in action with a gunshot wound to the lower abdomen and admitted to No 4 General Hospital in Camiers. On 11 November 1916 he embarked for England from Calais on the Cambria. On 2 December 1916 as Lance Sergeant, William Jenkins marched from Dartford into the Command Depot Number 2 at Weymouth and then on 20 December 1916 to No. 4 camp Perham Downs. Jenkins attended the bombing school of instruction at Lyndhurst between 25 February and 10 March 1917. Soon after this on 3 April he married Annie Corbishley at Birkenhead. According to the Army Certified Extract of Marriage Certificate he and Annie Corbishley, who was born in Birkenhead, were married by Rev. 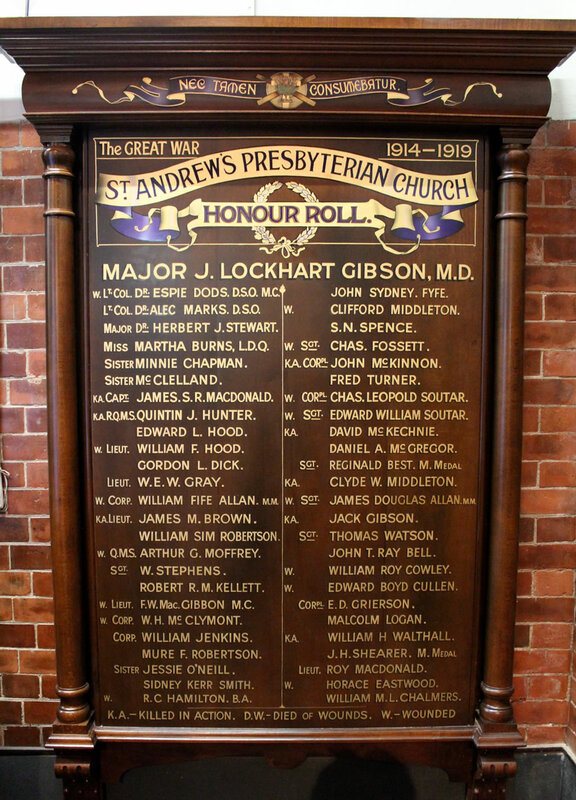 Marshall at St Catherine’s Church, Tranmere, Birkenhead on 3 April 1917 while he was at the overseas training depot in Perham Downs. Her address at the time was 34 Raffles Road, Birkenhead, Cheshire and her father was a railway guard. Her age like that of William was 27. On 1 July 1918, attached for duty with the overseas training brigade, Sergeant Jenkins sailed from Folkestone. Near Villers-Bretonneux, on 17 July 1918 a raid occurred in which Lieutenant Albert Borella earned the battalion's second Victoria Cross of the war. It is of interest to those who remember Mephisto the German tank at the Queensland Museum. On 22 July 1918 thirteen men of the 26th battalion accompanied 23 men of the British 1st Gun Carrier Company in taking possession of and towing away the abandoned German A7V tank from within Allied lines. Then close to two months after the Armistice, on 13 January 1919 Sgt Jenkins was accidentally injured. As a result of this injury he spent time in several hospitals and soon after his leaving hospital was granted extended leave until his discharge on 5 April 1919. At the time of his discharge he advised his intended place of residence as 118 Duke St Birkenhead Cheshire. He was discharged with the Victory Medal, the British War Medal and the 1914/15 Star along with his Military Medal which he was awarded on 17 June 1919. The announcement in the London Gazette stated that ‘the King has been graciously pleased to approve the ...’ and this was also announced in the Commonwealth of Australia Gazette. Sgt JENKINS has on several occasions had to take charge of a platoon. He has performed consistently good work over a long period. His services have been invaluable to his Battalion, when endurance and bravery were demanded. After the attack on the BEAUREVOIR LINE, East of AMIENS, on 3rd October 1913[sic] this N.C.O. was placed in command of an important post which he was instructed to hold. The enemy concentrated a heavy fire of machine guns and trench mortars on this post. All his men became casualties except four, but by his bravery and cheerfulness, he urged his men on, firing with their rifles, until finally the enemy fire was beaten down, and the enemy withdrew. His post was a very important one in the line which was severely threatened, and the fire directed against his post was exceptionally heavy. The Military Medal was instituted in March 1916 and was awarded retrospectively for gallantry and devotion to duty performed by non-commissioned officers and other ranks of the Army. In June 1916 it was extended to women of all nationalities for "bravery and devotion under fire". Jenkins was discharged in England (London) which was unusual, and then returned to Australia with his wife and two children, Master W.(illiam?) three years of age and Miss M. aged three months, as 3rd class passengers on the Orcades which left London on 6 October 1921. Their departure address was 49 The Woodlands, Birkenhead, Cheshire where William was employed as a concrete maker. They arrived in Fremantle in November 1921, and later travelled on to Sydney where he gave their address as - c/o Jenkins, 310 The Esplanade, Island Bay, Wellington. So far there is no record indicating that the family travelled to New Zealand, no information as to where he lived, where he died or where he is buried.